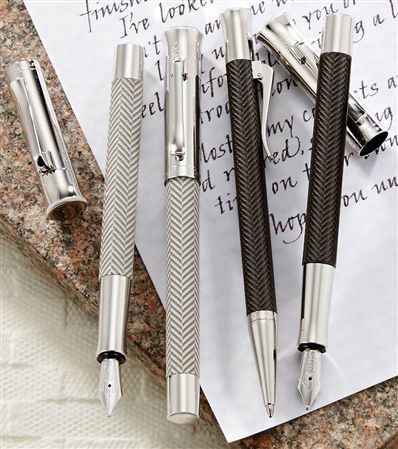 Order your Graf Von Faber-Castell Brown Guilloche Ciselé Rollerball Pen today from FahrneysPens.com. Fine Pens, Refills & Luxurious Gifts – great prices & fast shipping. 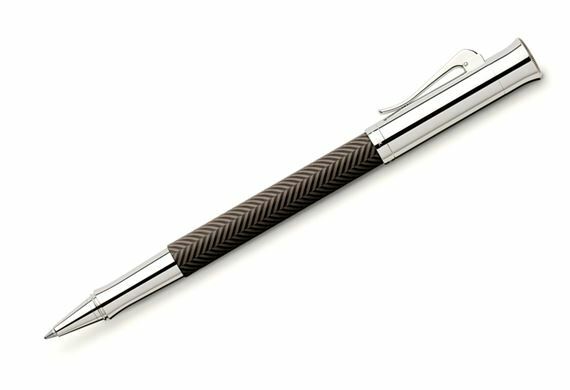 Now presented in dark brown with a handsome herringbone pattern, the Guilloche Ciselé Rollerball Pen, is in the terrific line from Graf von Faber-Castell. Deep, matte surfaces combined with textured engraving create a unique look that is at once modern and traditional in its appeal. The polished rhodium-plated cap, end piece and grip add contrast to the engraved barrel, a refined combination which gives the Guilloche series its elegance and understated appeal.